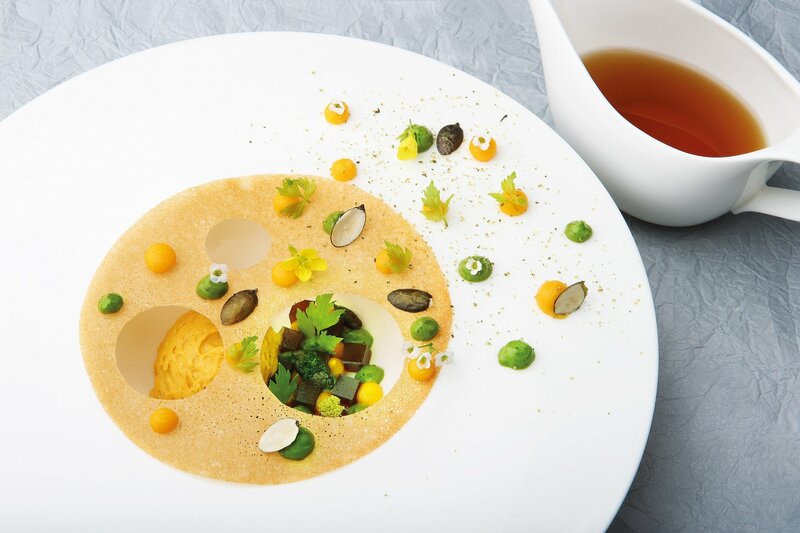 This week we talked to MASOOD SADULLA Chef Concierge at the luxurious Saxon Hotel, Villas & Spa. A favourite of celebrities and the international jet set, Saxon Hotel has a long history of notable guests including Nelson Mandela who retreated here to edit his autobiography Long Walk to Freedom when the premises was still the private residence of businessman Douw Steyn. The hotel's celebrity guest list alone makes it stand out, and yet there is no resting on pedigree, rather an ongoing dedication to leaving guests with a lasting impression of sheer comfort, luxury, and outstanding, polished and friendly service. For many guests their stay is made even more memorable by chief concierge Masood Sadulla and his passionate team. Cape Town-born Masood has been working in hospitality for almost 15 years and as a concierge since 2010, a role which he says has "opened so many doors for me both professionally and personally". 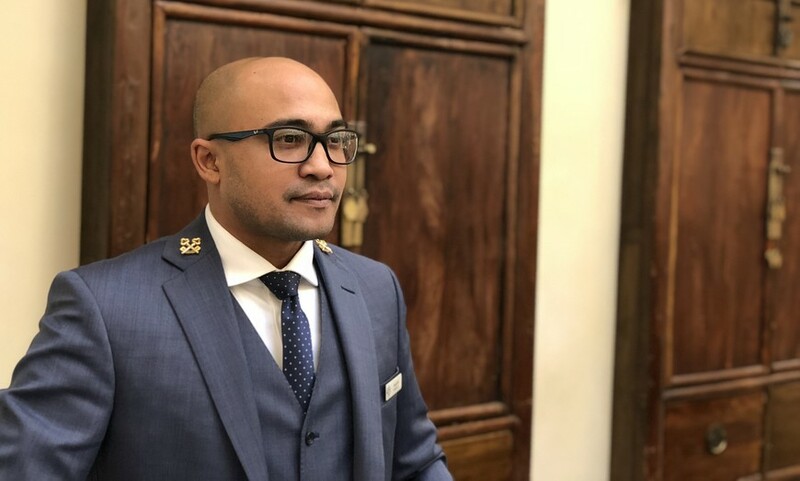 One of just a handful of South African members of the prestigious Les Clefs d’Or, the exclusive hospitality industry association that recognises excellence among concierges from around the world, Masood proudly wears the coveted 'Golden Keys' on his lapels and takes extraordinary pride in his work. Recognised globally by his peers in the industry, in 2018 Masood was nominated as one of the Best Young Concierges in the World at the MVP Golden Keys Concierge Awards in London. Whether a request is "mundane or extraordinary" Masood believes that a "great concierge is also a consummate professional and always takes great pride in what they do. We understand our guests by asking questions, and we create experiences and memories that they will never forget". My day starts with a management meeting discussing the daily operations. I then meet with guests throughout the day and assist them with their various requests. I check all transfers and tours, and ensure that the drivers and guides are on time. I meet with every guest upon arrival and departure to welcome them and to bid them farewell. I also establish where they are travelling to next. If they are going to another city I communicate all their requests to the next hotel and also make recommendations for them there. No two days are the same, ever - ask any concierge! Most unusual request you have gotten from a guest? A guest asked me the other day about a specific plant in the hotel that I had absolutely no idea about. I did some research on it and sourced seeds for them, including a write-up about the plant. They were super impressed. A guest wants an outfit by a local designer for a special event tomorrow - who would you recommend? Shawn Marshall from the Wardrobe Concierge is a master tailor and designer; his suits are world class. Most coveted table in town at the moment? I have to say it is Marble or Saint Pazzo Italiano! Three great places near your hotel you like to recommend to guests? Farro restaurant in Illovo is a favourite. Everard Read Gallery and Circa Gallery, as well as Togu'na African Artefacts. What neighbourhood do you like to recommend your guests to visit? Maboneng! Especially on Sundays, our guests absolutely love it. Favourite under-the-radar sight that is often overlooked by tourists? Victoria Yards is phenomenal! I absolutely love that the space showcases Johannesburg's finest artists and artisans. 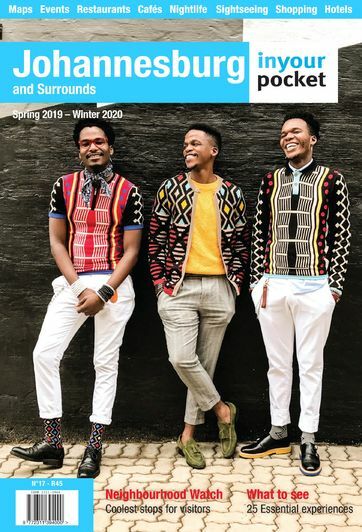 It is so unique to Joburg. Which attraction do your guests most often ask about? Soweto. It is the most popular destination for our guests and there is little wonder why – it is an incredible place! I love 4th Avenue in Parkhurst, there are so many cool spots in that street. Where would you recommend for a date in Joburg? Grei at The Saxon, Hotel, Villas & Spa, presided over by much-awarded Head Chef Candice Philip, is perfect for a date. Enjoy a magnificent six-course tasting menu with a wine pairing, and an amazing view. When they are in any other part of South Africa except Gauteng in December! Favourite Joburg person, and why? I follow this guy Ulrich Janse van Vuuren on Twitter and although I don't know him personally, he is amazing and I love his super motivating posts. He also shares incredible photos of Johannesburg. He is a real ambassador for Johannesburg tourism (read our interview with Ulrich here). I love the people, they are incredible and super friendly. Everybody is super motivated and driven to succeed. I also love the culture, the fast pace lifestyle and all the beautiful and unique places that you can enjoy. It does feel like home. I hate the stigma that is attached to Joburg, we all know what I am talking about and it is no different to any other city in the world. However, the Joburg concierges are doing a phenomenal job of changing perceptions, one guest at a time. 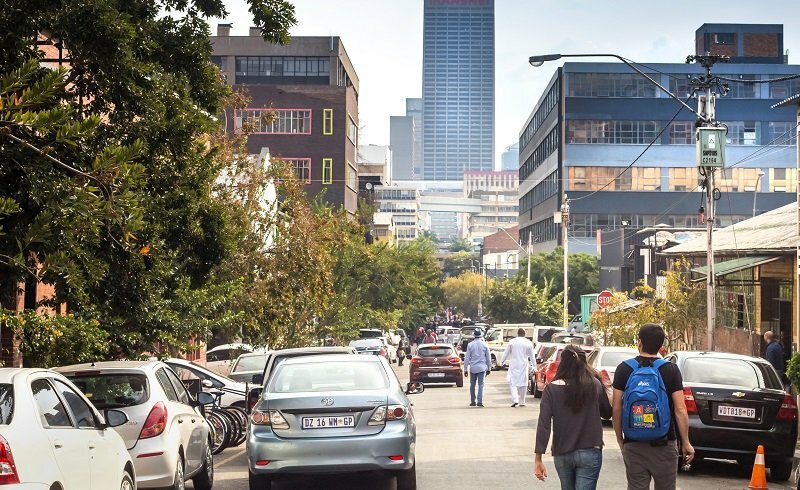 How would you spend a perfect day in Joburg? I'd start my day early with Bill Harrop's Original Balloon Safaris and watch the sun rise above the Magaliesberg Valley, followed by breakfast in their clubhouse. Then a trip to experience the Aerial Cableway in Hartbeespoort to enjoy the beautiful views. After that I'd make my way back to the city and do a skateboading tour with City Skate Tours in Maboneng. Then a quick stop at Victoria Yards and to 44 Stanley to enjoy lunch at the Salvation Cafe. I'd also need to fit in a quick trip to Art Eye Gallery, then Everard Read Gallery and Circa Gallery. Finally enjoy a sundowner at Marble in Rosebank then dinner at Grei at The Saxon, Hotel, Villas & Spa.